As a small business owner the first thing you need to realize is that you can’t and should not even try to compete with big business. Because, when you do that the first thought you have is to try to lower prices. This will never work and you’ll end up out of business. Instead you need to compete in other areas, such as service, value and reputation. 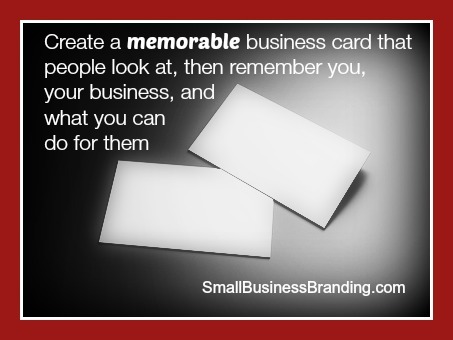 As a small business you’re in a unique position to be able to do that. After all, you don’t need to earn billions of dollars to stay in the game like a big business does. 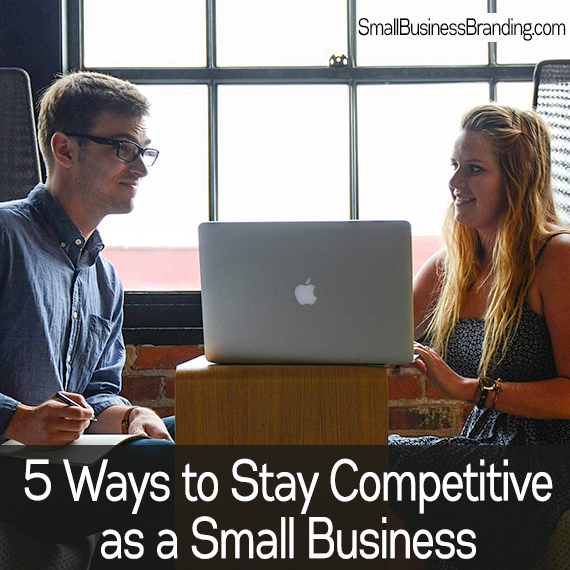 Being competitive as a small business all starts with understanding your audience and ends with smart growth tactics. Understand Your Audience – If you’ve heard it once you’ve heard it a thousand times; know your audience. You must know who your audience is and understand them on a deep level in order to be successful as a small business. It’s a huge key to dealing with competition from not only large business entities but other small businesses too. Build Relationships – Marketing for small businesses is more about building relationships than announcing the next sale or the next big thing. The closer you can be to your audience, the more they like you, the more they know you and the more they want to stick with you regardless of other factors that may exist in the environment. Stick to Your Mission – While everything is about the audience it all starts with your mission. Your mission is about what problems you plan to solve for your audience and why you’re the one to do it. If you’ve done the work to create a mission statement that does this, look at it before making any decisions in order to ensure you’re acknowledging your core values. Post it in a visible spot in your office. Manage Resources – Some days you’re rolling in money, others you’re scraping the seats of your vehicle for change for a soda. Banks often don’t give loans to small mom and pop business. Today there are options like Kabbage.com, PayPal Working Capital, and OnDeck.com which will provide short term loans for a fee. This can really help when you need inventory, or to pay your team and are waiting on a big invoice to be paid. You can argue about the high fees, but when It’s the difference between staying in business or not, it can be worth it. Handle Growth – Part of handling growth is to learn how to grow and contract as needed by using smart resources such as software that only charges for what you need, short term loans that you only get as needed, and contractors such as writers, virtual assistants, graphic designers, coders and so forth who only work when you need them on a project basis. You can use sites like Upwork.com and Elance.com to find contractors. If you want to stay competitive as a small business you need to do all of these things on a regular basis using the data that is available to you based on the analytics you produce from your website, social media sites and marketing initiatives. This data along with your mission, should guide your actions and decisions for your business so that you can stay competitive for a long time to come. It’s that time of year already, where everyone has to do their taxes. Most people, about 54 percent of filers in the USA, end up getting a refund. When you receive the money, you’ll need to think about what you should do with it. Since you’re a small business owner the most likely thing you should do with it is invest it into your business. First things first, if you have any interest bearing loans over six percent you should pay it off. If you do you’re earning that percentage on your money. 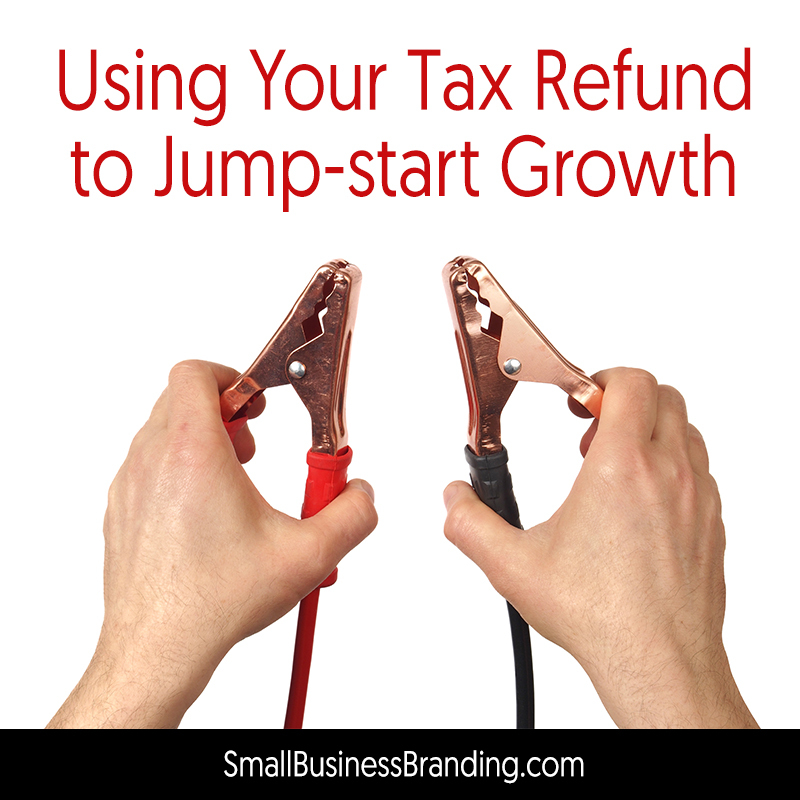 It’s a great way to stretch your income tax refund. Now that you’ve paid off high interest debt you can now invest the amount of your former payment into your business on a regular basis. With the monthly savings you can now do several things that you couldn’t do before. Have immediately improved credit. You can sign free with Credit Karma to find out what your credit rating is. Please, ignore the credit card ads as they are very tempting since they also tell you how likely you are to get approved. Breathe. You paid off a debt and you don’t have to pay it anymore. Take a break from spending money and celebrate your smart financial move by not going into more revolving high-interest bearing debt. Nothing can jump-start growth more than being debt free, turning around and putting that money back into your business or freeing up money that is going to debt is important. If you’re fortunate enough to get a tax refund, or find yourself with extra cash for any reason, use it wisely with thought and care. If you’re one of the smart people who avoid using high-interest revolving debt and you’re debt free, you can now invest in something that helps your business by improving automation. Perhaps you need to invest in technology that improves your website, backs up your website, or makes your website better in some way like a complete rebuild and design. Of course, it depends on how much your refund is as to how far you can get with improvements. Mastermind Club – This is a good investment in your business because the connections you’ll make are innumerable. You may likely earn back your investment in the club due to the people you meet. Business Coaching – If you received a substantial refund you may decide to invest in business coaching. There are many great coaches, so be sure to pick the one that is right for you and has experience plus good reviews. Software/Technology – If you have a lot of websites or a very important website that is most of your income, are you protecting it sufficiently? 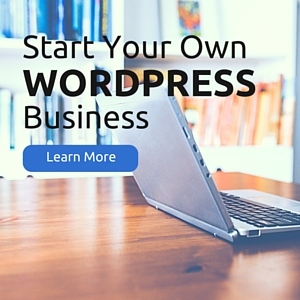 If not then you should highly consider backing up your site. Using Dropbox.com or other file storage solutions isn’t really good enough; please consider using something like Mozy.com, BackupBuddy.com or BackBlaze.com if you use a Mac. The important thing is that when you get a tax refund that during the time you’re waiting to receive it from the day you submit your tax return to the IRS that you sit down and give a lot of thought as to how you’ll use the cash to make it pay off today, tomorrow and well into the future. You won’t be sorry. If you take the time to study any successful business from large to small you’ll notice some qualities they all have in common. If you want to have a long term business it’s important that you learn what these qualities are so that you can develop them within yourself. Thankfully, most things can be learned even if they don’t come natural. When I first started my business more than two decades ago, I was building HTML websites, managing newly formed online communities through bulletin board systems and a lot of other things that I don’t do today. I’m still in business because I ensure that I keep moving forward with technology and the needs of my audience. Long term entrepreneurs are smart to choose to do the things they love to do. Naturally all businesses have some things none of us want to do, but once you get your business off the ground you can outsource the things you don’t love and focus on what you love. But, overall it’s important to choose a business that you’ll be passionate about and enjoy the end results. If you choose something you love you’re going to be more likely to enjoy your life and stick to it long term. Entrepreneurs who have sustainable businesses do not run their business like a hobby working on it only when inspiration strikes. They create a schedule based on their business plans and stick to it day after day, always looking ahead to the future. They believe in their own abilities and run their business as a serious business and do not waiver. Due to the fact that they take their business seriously, other people do too. A serious and long term business owner will continue research about their audience on a regular basis. Like technology, audience’s change. For example, big businesses like Unilever which creates personal care products. Over the years they have had to change how they market to their audience. If they marked these products today the way they did just 20 years ago they would lose a big share of the market because the old ads might actually offend their audience today. 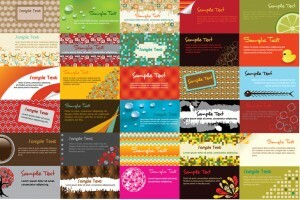 Marketing properly requires an understanding of branding. Creating a known cohesive brand in all marketing channels, online and offline is the key to getting a larger share of the market. The larger share of the market you can convert to customers the longer your business will be around. To do this, taking the things you know from audience and competition research and promoting benefits over features of any product or service will endear you to your customers. A sustainable business owner cannot be afraid of change. Entrepreneurship requires understanding that change is a constant. For example, if one is a Website developer, the tools from just 10 years ago are old hat. The smart entrepreneur stays up to date on the changes happening in their industry and makes plans to move with the changes now and in the future. A really good example of a successful business that has developed plans for the future and changed as technology has changed is Netflix. They have gone from distributing DVD movies through the mail, to streaming movies, to now becoming their own powerful network. Without a willingness to change as technology changes and customers’ needs change, your business won’t be around long. 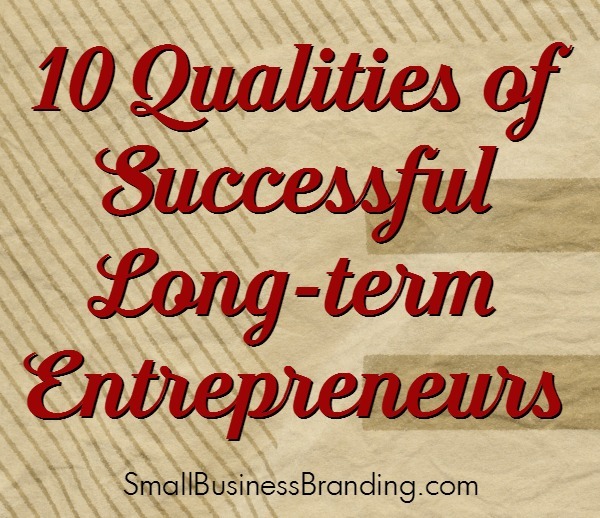 Long-term entrepreneurs know that they must invest wisely in their business to earn money. They must pay for hosting for a real website, purchase a good auto-responder service, use a good project management system, and buy the right software and more to ensure the success of their business. Trying to run your business without the tools you need wastes time and makes you look unprofessional to those whom you wish to work with. No CEO becomes successful for the long term on their own. No one is really self-made. People who are successful know how to surround themselves with other experts who can help them succeed. They know that they need to reach out to complementary professionals forming strategic partnerships to get to the next level. Working with contractors and joint venture partners is something all long-term business owners eventually need to do. No one knows everything. Even if you’re an expert in something today, if you don’t keep informed about your industry you may end up being out of touch with the new technologies and facts affecting your niche. Chances are whatever you are doing today to earn a living will slowly change over time until it’s fairly unrecognizable when you compare today to 20 years from now. Keep learning, take classes, read industry publications, and educate yourself so that you are the go to expert in your niche. If you want to be in business for the long haul it’s important that you keep apprised of what your competition is doing. Figure out who is selling and promoting to your audience and follow them, friend them, and associate with them on a regular basis so that you know what they’re doing that is working, or not working, so that you can do even better. Smart business owners who thrive during the ups and downs of any economy, the changes in technology, and the changing and growing needs and desires of their customers make sure to find time to follow up properly. Without following up, you’re missing out on your best source of new sales, the customers you already have. Finally, one last point is that long-term entrepreneurs never stop marketing and promoting themselves, their business and the people who help make them what they are. They keep going during busy times and show times. As a small business owner you’re supposed to be the master of your domain. Every story you see about working from home talks about working from the sandy shores of a foreign land, enjoying a lot of family time and down time with friends. But, the truth is, most small business owners don’t live that way. In fact, many are so overworked that they suffer from burn out. 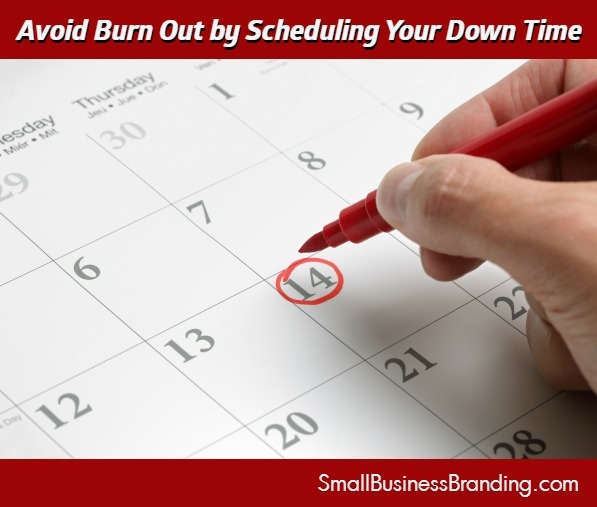 If you don’t want to risk burn out it’s important to schedule in down time. When it comes to getting things done your calendar is your friend. Everything I do, whether it’s taking a walk with my husband, or shopping it is scheduled using Google Calendar. We all have access to each other’s calendars so that it’s easy to see what we’re doing at any given time. That might sound boring, but the truth is, if it’s not in my calendar the chances of it getting done are near zero. This can work for you too and when you try it, you’ll understand the power of the schedule. When you start your calendar, open it up and first schedule family time. After all, the main reason you want to work from home or have a small business of your own is to spend more quality time with your family. Even if you schedule thirty minutes to spend with your kids or spouse each day, that is something that should be sacrosanct, avoiding any reschedules for non-emergencies. Once you have family time in your calendar add in regular appointments that you have such as yearly doctor’s appointments, dentist appointments, and chores you do on a schedule such as changing your air conditioning filter. While this may seem like too much scheduling, the truth is, if you do things such as deep cleaning a closet on a schedule it’s more likely to get done, and since it’s getting done regularly it will take less time. If you don’t take a yearly vacation on any particular schedule, you’re a lot less likely to do it. Look at your family’s normal schedule such as school and the ability of your spouse to take a vacation and schedule a regular time for your once a year vacation. Block it out, and make it sacred. Even if you cannot afford to leave for your vacation for some reason, make this the time you and your family take time off to be together even if it’s a “staycation”. Now that you’ve put in all the important things, mark off days that you will be working, including the actual hours you’ll work on your business, billable hours, and even lunch breaks so that you know at a glance of your calendar what you’ll be doing on any given day. It may seem obsessive but you’re going to get a lot more done if you know that from 8am until 11 am you’ll be working on client A’s work, and from 11:05 am. Until 12:05 pm you’ll be at lunch. Be sure to mark off the real time it takes. Don’t underestimate the time things take. Putting everything, even the mundane in a calendar is going to help you not only have more downtime to enjoy with yourself and your family, it will help you get more work done in a shorter period of time because you’ll be organized and know exactly what you are doing at any given time on any given day. There comes a time in almost any business where you want to retire or move on to another product and the thought of selling comes to mind. 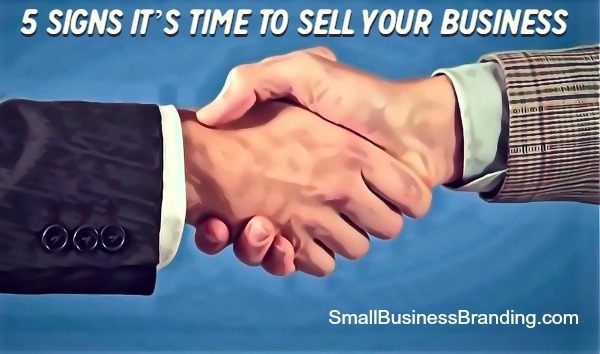 But, how do you know when the right time to sell your business is? How do you know when to do it so that you can maximize your profit? Here are five ways to determine when it’s the right time to sell your business. Plus, if you’re just at the start-up phase, it can give you some insight on how to set things up so your business is salable. The Market Is Right – People might have expressed interest in your business already, which means the market might be telling you that it’s time to sell your business. Just because someone offers you money today, doesn’t mean it’ll be on the table later. When an unexpected offer comes in give it some serious thought. You Have Competitors Who May Want Your Business – When you have some close competition there is a chance to that one of your competitors might want to buy your business in order to eliminate the competition. If you have a few or more that you go to battle with over customers make a list of them for later. Your Business Is As Successful As You Can Make It— You’re not in debt and your business is profitable every month. You make plenty of sales and have a large email list, fan base, and social media following that can translate into even more success and up the price of your business as you sell these assets. But, you feel like you’ve done as much as you can with the business and someone else can likely take it farther. Your Business Isn’t Dependent On You – This is one of the biggest keys and one that can be repaired if you’ve branded your business to be all about you and your name but, if you’re the only one who can make the things that you sell, then you may have a problem. If you’ve designed your business with the future in mind, you’ve created a business that can continue long after you’re gone. You’re Ready To Move On – You’re at the point where you’re not excited about your business anymore, you feel like you’ve done all that you can with your business. Alternatively, you are ready to retire. It’s been your plan all along to have an exit strategy so that you can eventually retire or start up another successful business. Selling a business isn’t a sign of defeat, rather it’s a sign that you’re truly free to do what you want with your own business and that you’ve thought about your exit strategy from the beginning. It’s an excellent way to run a business, and having given it thought you’ll know when the right time to sell is. Have you ever wondered why that delicious new restaurant that you loved and all your friends loved, that seemed busy ended up closed by the beginning of the next year? The automatic assumption is that there is a lot of competition out there, so the restaurant just didn’t have a chance. Usually, there is a lot more to it than that. If you have a good business idea, and have done your due diligence there is no reason you can’t be successful no matter how much competition there is. 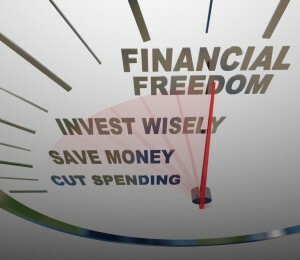 It all starts with having good financial habits. 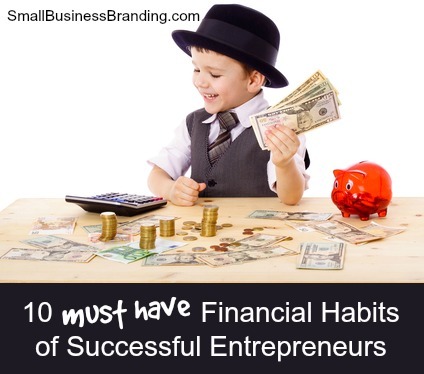 There are some habits that successful entrepreneurs have in common. Every business, no matter how small or what kind of shoe string budget you’re starting with needs a business plan. Even if you just write a one or two page business plan you need to go through the motions of writing the plan because it forces you to study your industry, the competition, and evaluate your own skill level. Saving receipts along with using a financial accounting or bookkeeping software to help keep track of your records will help you evaluate your financial position on any given day. You should easily be able to look at what expenses you had for any given project, without understanding that, you can’t know if your prices are right. In addition, you should know exactly what you need to earn to keep your business running, otherwise known as your break-even point. No business can run properly without a system, or even multiple systems. This is true whether you are working alone in a sole proprietorship or whether you have 500 employees. Without systems in place that you can perfect over time you’ll just be running in circles repeating mistakes. This can cost a lot of time and money. Start with understanding your break-even point then around that create a realistic budget for all the different areas of your business so that you can run your business appropriately. A lot of business owners go out of business due to not understanding budgeting, the cost of doing business, and the idea of keeping their own hands out of the cash drawer until they make enough to pay themselves. Don’t be that person. I’ve already mentioned that tracking expenses is important but it’s amazing how fast little expenses here and there can ruin a business. A five dollar a month expense here and there seems small, but if you’re not getting the most out of each of these small expenses, it’s better to eliminate them when you can. Running lean and mean will get you further in your business and avoiding pennies leaking out of your business can ultimately save thousands. Another issue that successful entrepreneurs understand is cash flow. If you have a service based business, no matter how big or small, you’re going to have varied levels of income over each week and month. You’re also potentially going to have issues with clients paying you on time unless you get the money up front. Even if you sell tangible goods the income of an entrepreneur isn’t exact so it makes budgeting ore of a challenge. If you find creative ways to manage cash flow you’ll find that you’re less stressed and more successful. One of the things that get a lot of businesses in trouble is the owners not understanding fully tax laws. If you live in the USA a great book to get is Small Business Taxes Made Easy – but do remember that tax laws change and that you’ll need to find out what’s changed and updated since the last publication. Business owners, even small business owners who work from home have found themselves in financial trouble due to not paying their quarterly taxes or self-employment tax. This needs to be part of your education and budget. Part of your budget should include saving money for the future of your business, as well as the future of your family and the two should be separate. You need to have a business account where you shoot to have six to eight months’ worth of money equal to your break-even point in the account. Plus, you should do the same for your personal savings account with liquid cash that is available for six to eight months of living expenses covered. This might seem silly when you first read it. Of course, you understand the value of each and every dollar you spend and bring in. But do you really? Are you spending time on your business doing things that someone else could do faster, and less expensively than the hourly rate you command? If you can do work that brings in $150 an hour and you’re dealing with customer service email you’re wasting about $130 an hour. After you’ve educated yourself on the tax laws of your country, and understand basic financial vocabulary it’s important to seek out professionals that can help you. Hiring a bookkeeper or a CPA isn’t as expensive or as hard as you might thing and typically their value is made up in your savings and the business advice they can give you based on their knowledge of not just your business but the others they serve. One caution here is to ensure that you do understand everything you sign, like any profession, there are unscrupulous people. Get references, and check them. Finally, even if you already have a successful business without doing any of these things, if you want a long-term business that can be passed down to your children or sold when you are ready to retire, you need to back track and get started getting your financial plans in motion and developing financial habits of successful entrepreneurs so that you’re able to stay successful today and well into the future.